The Products and retailer Design By Humans are high quality priced at $24 - $26 for their tees which is average for the P.O.D. market. As for the DBH Premium Tee blanks are extremely soft and comfortable. They tend to run larger than you'd expect. The fabric material is 100% Cotton and it is as durable as an organic material can be. The tees are TAGLESS which is a major plus. The sweatshirts however, are not tagless. As for sizing, again their tees do run larger than expected so most people will can get a tee that fits even if loosely fitting. Some designs are available in Boy's and Girl's sizes. As for the printing method, they use the Direct to Garment (DTG) Digital Printing technique for their tees (they no longer do screen printing which were flawless). But it is better than average Digital Printing, definitely on the top 5 for the P.O.D. brands. They got good ink coverage. The color is a bit muted compared to the image thumbnails on their site and some details are lost but that is the case with most of the P.O.D. brands (not all). The ink thickness is average for P.O.D.'s. To make the designs last, wash the tees inside-out (especially for the first wash) to avoid any harmful interaction with the inks during the washing and drying process. To avoid any possible fabric shrinkage, air or hang dry rather than use a machine dryer. 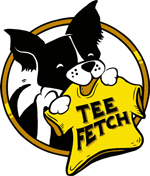 They usually offer a few fabric color choices per tee some as many as 16 colors but a lot only offer 1. Overall, we feel that this Martians Coming tee is a worthy purchase and therefore should not result in any buyer's remorse.